American households face an average tax increase of $3,500 if Congress doesn't act to avert the fiscal cliff, according to a new analysis from the Tax Policy Center. Overall, 88% of households would end up with higher taxes. That's because a record number of tax increases -- due mostly to the expiration of temporary provisions put in place since 2001 -- are set to take effect starting in January. All told, the center estimates that the fiscal cliff tax provisions would raise an additional $536 billion in revenue next year, or 21% of what the federal government would otherwise collect. 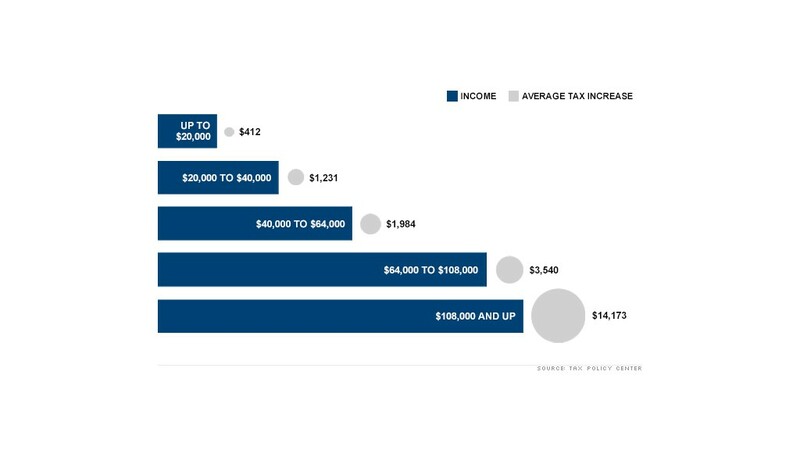 The range of average tax increases is enormous depending on one's income level. The top 1% of households, which have incomes above $506,210, would face an increase of $121,000. Within that group, the top 0.1% -- those making more than $2.66 million -- would get hit with a tax hike of nearly $634,000. Households in the middle -- with total incomes between $39,790 and $64,484 -- can expect a roughly $2,000 increase. "Households with low incomes would be particularly affected by the expiration of tax credits expanded or created by the 2009 stimulus," the Tax Policy Center wrote on Monday. "And households with high incomes would be hit hard by the expiration of the 2001/2003 tax cuts that apply at upper income levels and the start of the new health reform taxes." 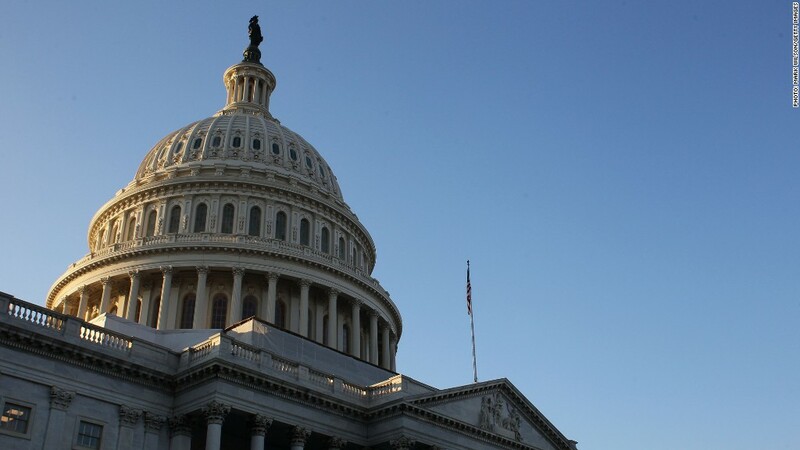 The 2010 health reform law will impose additional Medicare taxes on the wages and investment income of those making more than $200,000 ($250,000 if married filing jointly). The biggest part of the tax hit for middle-income Americans would come from the expiration of the Bush tax cuts and the payroll tax cut. Few think, however, that Congress will let all the scheduled tax increases take effect. The current betting says lawmakers will let the temporary payroll tax cut expire but leave the majority of the Bush tax cuts in place and reinstate another so-called "fix" to the Alternative Minimum Tax so that it doesn't ensnare more than 20 million households this year and next. Political observers also expect the new health reform taxes will take effect as scheduled. But at the moment no one can say with any certainty what kind of fiscal cliff deal lawmakers will negotiate. And anything they do resolve won't happen until after the election.